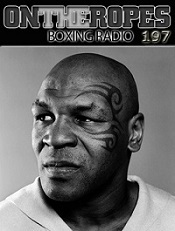 The International boxing organization (IBO) was established in 1988 and has been headed up by Ed Levine since 2000. The belt has been held by many of the best champions in the sport’s biggest divisions. Currently, boxing stars Gennady Golovkin, Anthony Joshua, Chris Eubank Jr. and Erislandy Lara are among some of the champions that hold the IBO belt. 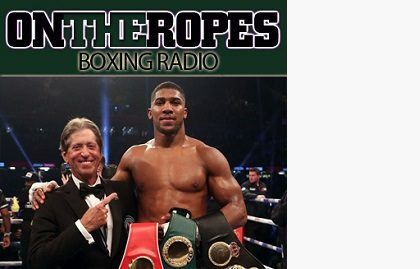 In part 1 of this “On The Ropes” boxing radio interview with IBO president, Ed Levine, I discuss with him the recent IBO heavyweight title defense by Anthony Joshua and get his views on Joshua as a champion. Ed also talks about the heavyweights that have held the IBO belt and if he thinks Joshua has could be one of the greats. Additionally, Levine speaks on his involvement with the IBO and what organization aims to accomplish with their belt. Here is what Ed Levine had to say. Jenna J: Anthony Joshua recently defended his IBO heavyweight title against Carlos Takam. You were in attendance for the fight, what did you see in the fight? Ed Levine: We all knew going in that the last minute change to Takam was going to be a difficult situation because clearly he’s a very durable fighter with a very different style. Takam showed why he had that reputation, he made it a very difficult fight for Anthony, but clearly AJ is the superior fighter and won just about every round on all the cards. It was a good show and the fans enjoyed it. The opponent could have been more exciting but it was still a good fight for Joshua. Jenna J: Where do you rank Joshua in terms of his growth and skills in boxing? Ed Levine: I think that he still has a lot to prove, but what I’ve seen so far is that he has all the ingredients to be right up there with the absolute best heavyweights that I’ve ever seen. He has the skills, the speed, the power, he knows what he’s doing in the ring. 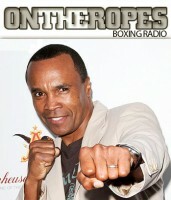 He’s still a young fighter and he still has to prove that he’s one of the great ones, and I do think he will do that. He’s certainly exciting, certainly fan pleasing, has all the tools, and I can only see him going in one direction, up. Jenna J: Do you think Anthony Joshua can be a fighter that could hold the heavyweight belt for many years, like Lennox Lewis and Wladmirir Klitschko did? 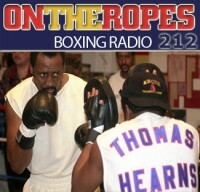 Ed Levine: Absolutely, I think that Anthony could be another heavyweight champion for the IBO. He’s only 28 or 29, so he could be the heavyweight champion for another decade. He has shown the ability to be hurt, but all heavyweights get hurt. Lennox Lewis is the prime example, he’s a Hall of Fame champion and had a couple of fights where he got caught, went down, lost the fight and then came back and beat those fighters handedly. I see a similar kind of situation with Anthony Joshua, there may be a fight in the next few years where he could lose his title, but I see him coming back and winning the title if that happens, and that’s a big if because right now he’s young and talented and I see him as being clearly number one in the heavyweight division. Jenna J: How did you get started with the IBO belt? 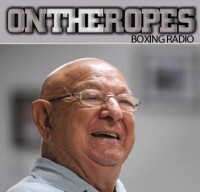 Ed Levine: There’s a lot of criticism about sanctioning bodies, and I try to take those criticisms of those other sanctioning bodies and turn that into a business plan that might be welcomed and a change of pace in boxing. Specifically, one is the ratings. There’s so much debate over the top ten in every weight division and I felt that boxing needed a vehicle where we took the human element out of the top ten rankings and just went ahead and used a computer program which now everyone knows we are contracted with BoxRec and all our ratings are BoxRec powered. I felt that there was some kind of barometer needed in boxing and in particular with a sanctioning body as to the real rankings of fighters. We didn’t want something politically oriented, not something that was based upon relationships, so that was one of the key changes that we decided to do. We also decided that we wouldn’t impose mandatories unless there was a need for a mandatory. 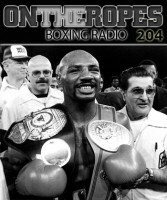 I think that boxing needs mandatories occasionally, be we felt that it was more important to let great champions fight commercially viable opponents that were determined by what the fans wanted to see and what the promoters wanted to put together, rather than what the sanctioning body mandated. We do have the right to impose mandatories and have imposed them, we only do so when champions are avoiding top competition. Those are two major changes that we felt we would bring to the table, and of course transparency. I’m proud to say that the IBO since 2000 has not been involved in any litigation, and that goes a long way in saying that there’s not much to litigate with us if we follow our rules with everybody equally and if we take the proper courses in boxing. That’s the essence of what the IBO stands for. 3 Responses to "Ed Levine: “Anthony Joshua has all the ingredients to be right up there with the absolute best heavyweights that I’ve ever seen”"
JOSHA is overhyped. Who has he beat? The best win is against a 41yo Klitschko would was out for 18 months. I would like to see Joshua take on someone with a pulse, how about a fight with king kong ortiz? HEAVYWEIGHT DOES NOT HAVE A SINGLE CHAMPION YET. THESE GUYS NEED TO FIGHT EACH OTHER TO SEE WHO IS THE BEST. SO TAKE ALL THE POLITICS OUT OF HERE AND LETS GET THESE TWO IN THE RING WITH EACH OTHER.